This crocheted baby chick hat is essential for any photographer. 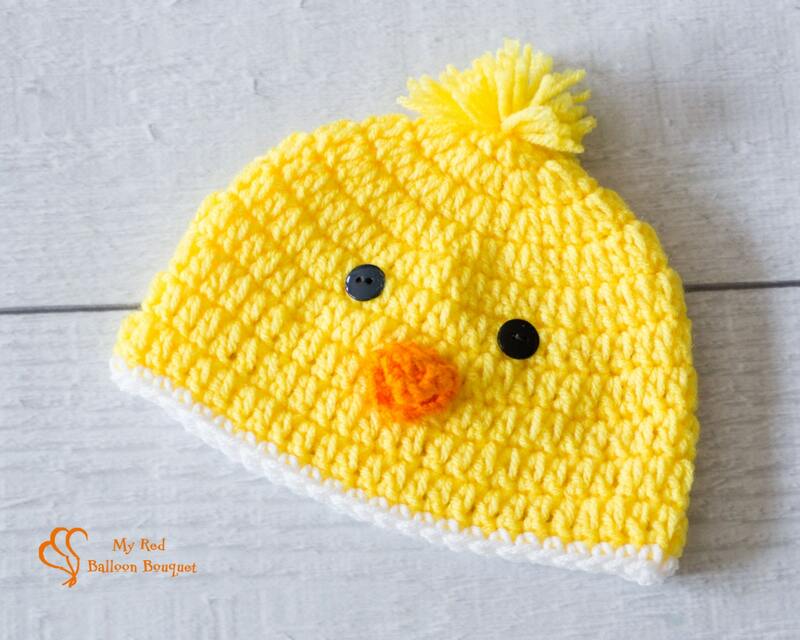 This yellow chick is can be made with any trim color, has an adorable pom-pom and cute button eyes. Great for those Easter and spring photo shoots. This item truly is delightful. Care: Handwash in cold water with mild soap; lay flat to dry. Do not wring, bleach, iron or press. Do not dry clean.